Hope and Alex always knew they wanted a destination wedding with an intimate setting for their friends and loved ones. 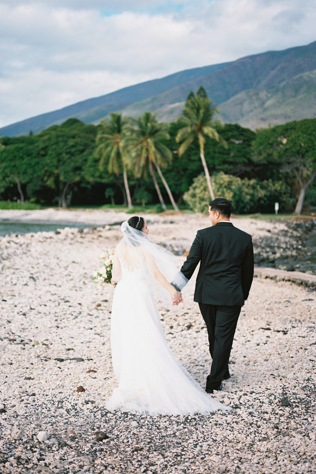 After visiting the Hawaiian Islands they decided that a tropical wedding in December would be the perfect getaway. Another factor that made the couple's decision to plan their wedding in Maui, Hawaii easy was the convenience of their guests being able to travel without passports and not having to worry about a language barrier. “We hoped to find a destination that still seemed new and exotic, but was still somewhat familiar and comfortable,” says the newlyweds. According to the couple, most of their friends and family were thrilled about a tropical getaway. “A few family members were hesitant at first due to traveling, costs and planning logistics, but they soon came around,” says the couple. 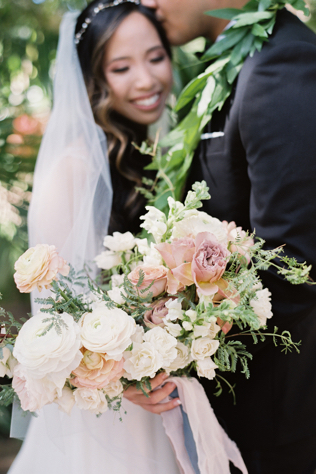 The couple had a relatively easy time planning from afar with various vendors agreeing to fly to the couple’s hometown in California to meet in person to discuss the details of the wedding. The couple found that they probably would have spent around the same amount of time and money if they would have planned a California based wedding, since there would have been more guests in attendance. When it came down to the finer details, the couple enjoyed adding a lot of their own touches to the wedding. 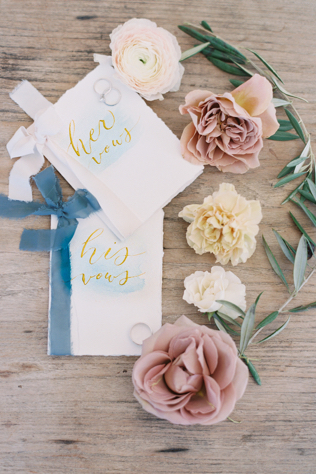 The bride handmade the couple’s wedding invitations, vow books and all of the paper goods for the wedding. Since the wedding was in December, the couple also personalized ornaments as wedding favors for their guests.